Southwest Airlines—known for its no-frills, low-cost approach to flying—has opened a new international concourse in Houston’s Hobby Airport. Passengers using the Houston hub now have more options, as this previously domestic-only airport goes international with five new gates. Southwest is upping the number of flights that it will offer from the airport. In addition to the six it has added in October, there are eight more coming in November. Most of them are heading south to Mexico. Mexico is big on Southwest’s agenda this fall. The carrier introduced two daily nonstop flights from Houston to Cancún, and daily flights to Mexico City, Puerto Vallarta and San Jose del Cabo. 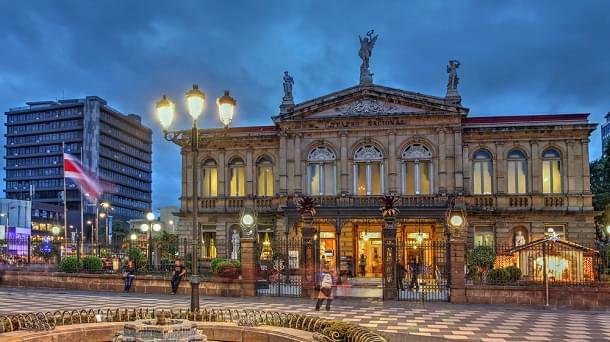 Customers can also book flights to Costa Rica’s capital, San Jose. Looking for more options in Costa Rica? Starting November 1, you can fly to Liberia, located in Costa Rica’s Guanacaste province. The city serves as the country’s tourism hub, making it an ideal destination for visitors. Liberia is also the gateway to Costa Rica’s Pacific coast beaches, which include Playa del Coco, Playa Hermosa and Playa Tamarindo. They’re the perfect destination if you’re looking for relaxing beaches and fantastic surfing. And if that’s not enough beach access for you, there’s another new route from Houston available on November 1: You can fly direct to Montego Bay, Jamaica. Southwest Airlines proposed the new concourse way back in 2012, with the carrier breaking ground in September of 2013. Construction was completed this year, coming in ahead of schedule. This means more nonstop international flights for Houston, so it’s easy to see why residents are excited about Southwest’s expanding role at Hobby Airport. More flights from Southwest in Houston also means easier access for visitors to the city, whether it’s for business or pleasure. “Houston has a well-earned reputation as a great place to do business, but it also features world-class amenities and an amazing quality of life. This partnership with Southwest will help provide limitless opportunities for businesses, residents and tourists from the Americas to experience all of that,” said Mayor Annise D. Parker.